People seemed more interesed in EVs this year. Our local utility, a PV dealer and our local Nissan dealer contacted me asking to participate. This was a first! 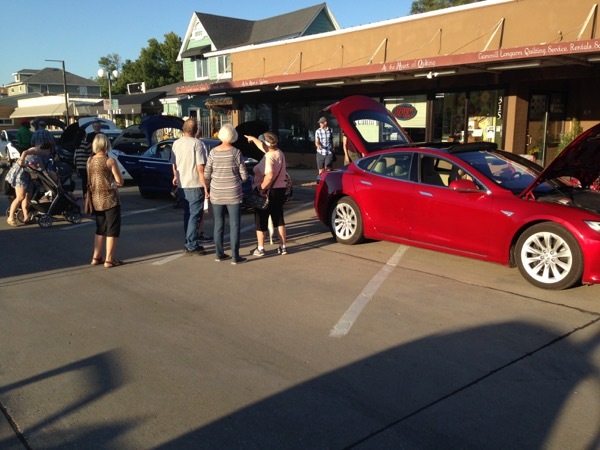 Our local EV drivers were just as willing as ususal to come and tell their story. The Nissan, Mitsubishi and Mini Cooper dealers sent cars. all other car dealers were unresponsive. I also invited 3 bicycle shops that sell electric bikes. None of them showed up. Tesla Model S, Model 3 and Nissan Leafs were the most abundant cars in attendance. EV owners and EV dealerships will have cars on hand to display. Rides will be available if the dealerships are agreeable. Organizations with related goals will be invited to attend. Registered attendees report 367,751 electric miles driven.